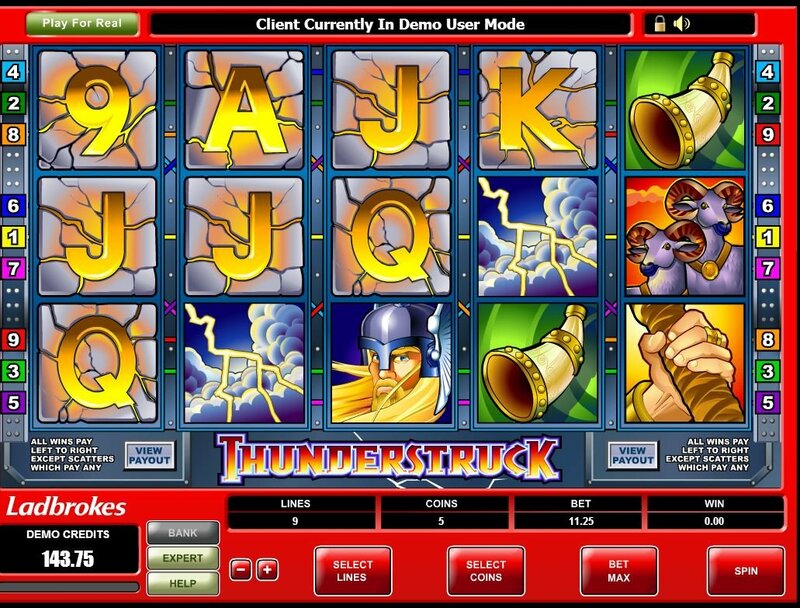 All in all, I don’t mind spending a bit of quality time with Thor and becoming a Thunderstruck slot player every now and then but, this is quite an old school (ie non 3D) slot for me to really invest any real time or money in it. 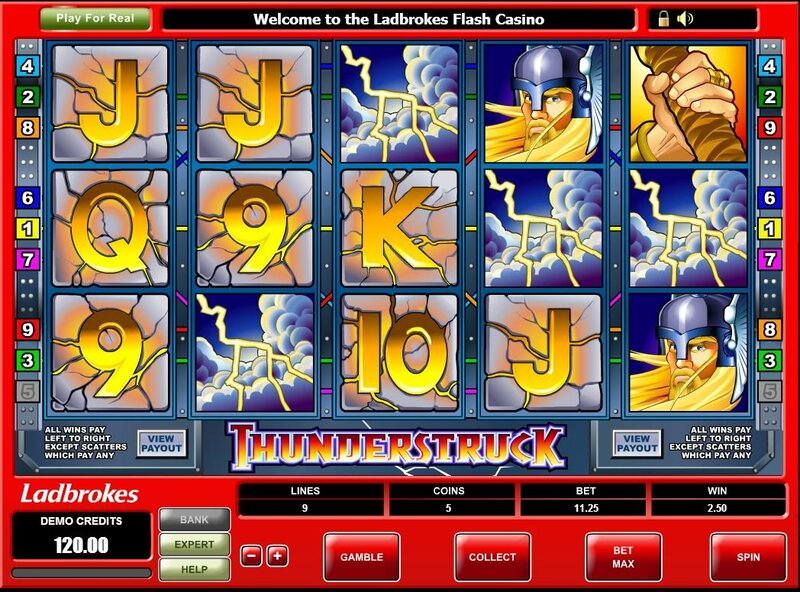 Microgaming strikes again….this time with its Thunderstruck slot game that will leave you feeling electrified. Back like they used to in 2004. 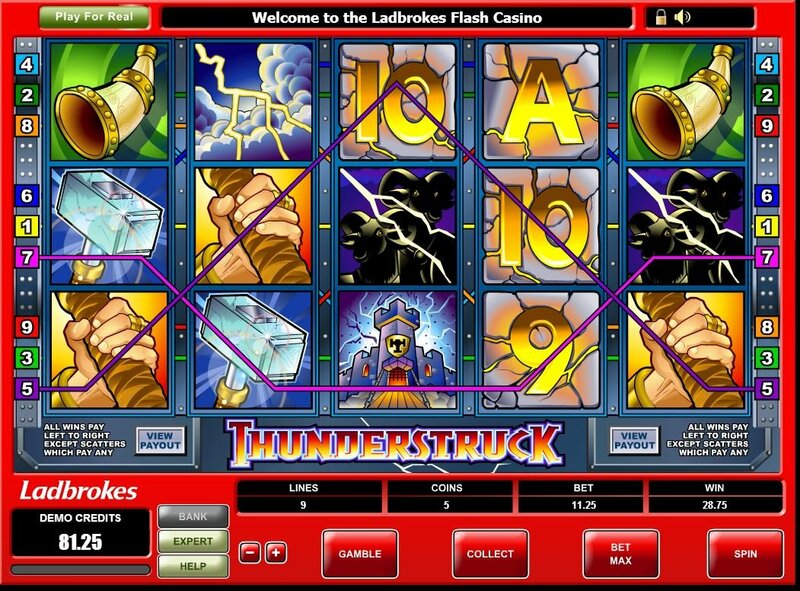 Thunderstruck slot is a 5 reeler with an old school 9 paylines. Its saving grace is the clever association with Thor, god of thunder, though most definitely not the god of rock and roll if the usual dull slot music is anything to go by). Thor seems to have quite a bemused expression on his face as the paytable explains that if you spin 3, 4 or 5 scatter rams you will net yourself 15 free spins with all wins during your free rolling reel fun tripled, perhaps in a move to appease Thor's mighty anger? Thor's hammer, Thor's horn, a picture of a thundery cloud, Thor's castle and Thor's staff are all along for this ride that may spin you out of control. It's all getting a bit reel with Thor spinning about town for cash prizes. Thor himself, bemused expression and all, is your wild symbol and with him on your side, you will double your win, but remember, he cannot substitute for the old ram scatter symbol. If my mythology is at all reliable, rams have long been sacrificed to the gods in this way, so this cannot come as too much of a surprise! One neat little feature on a lot of Microgaming slots is the gamble option. At random points within the game, the button lights up and you can start playing the odds with a deck of cards. It's simple, yet effective. It is one of my favourite features of the slots that have them, but on the other hand is also indicative of a slot without imagination and theme specific bonuses and special games.